occur, resulting in the need for amputation. 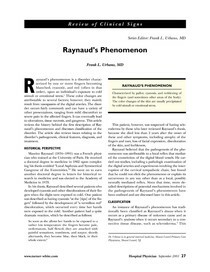 among patients with Raynaud\u2019s phenomenon. organ system complications occurring frequently. phenomenon involves several classes of medications.